Sukwinder Singh faces all buildings on the Hammersmith campus other than the Commonwealth and Burlington Danes Buildings. Heather Combe will (following a short handover period from Sukwinder Singh) face the Charing Cross Campus and both the Commonwealth and Burlington Danes Buildings at Hammersmith Campus. Diane Thomason has joined us and has taken over as Campus Safety Manager for both the St Mary’s and NWPH Campuses. Helga Koch remains Campus Safety Manager covering South Kensington, the Royal Brompton, Chelsea & Westminster and Harefield Hospital Campuses. In addition, Sally Campbell has been appointed as the new Faculty Centre Safety and Compliance Manager and is tasked with monitoring the staff compliance with Faculty and College H&S Policies. Sally will also be advising the CBS staff on their Health and Safety arrangements. We are now entering the next phase of the Lone Working Policy implementation and have introduced a compliance monitoring programme. This is based on lists that are obtained from Security of those who have accessed College operated premises out of hours. These will then be compared with the lone working authorisations forms registered on the Faculty database. Details of those staff members who have accessed premises but without authorisation will be sent to the Department for action i.e. the Department will be asked to ensure that all those working out of hours are authorised to do so, in line with Faculty Lone Working Policy. 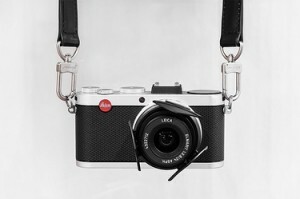 Checks will be made within a 3 week period to ensure that this has been complied with. 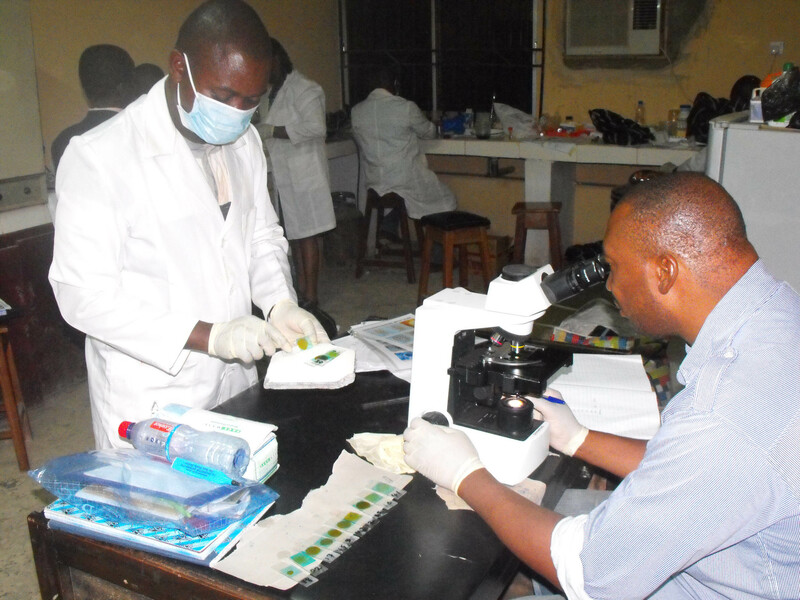 To reduce child morbidity in Nigeria, the Partnership for Child Development​ (PCD), Imperial College London recently supported the Nigerian Government to map 7,500 children for worm infections across 150 selected schools in Osun State, Nigeria. The exercise was part of a government-led mapping carried out across six states in Nigeria which will be used to construct an effective treatment plan ensuring schoolchildren are dewormed for infections posing a threat to their health, nutrition and development. “This exercise demonstrates the commitment from Nigeria’s Government to eradicating NTDs, which will be enabled by determining the prevalence of parasitic worm infections Soil Transmitted Helminths (STH) and Schistosomiasis”, said Nigeria’s National Coordinator for NTDs, Dr Obiageli Nebe. Currently, 00 million children around the world suffer from STHs or schistosomiasis and often fail to attend school on a regular basis, those who do attend school are unable to concentrate and learn due in large part to tired or sickness. Worm infections can cause anaemia ​and malnutrition​ which means that children don’t have the energy they would otherwise. School-based deworming is universally recognized as a safe, simple and cost-effective solution. At a cost of less than 50 US cents per child per year – the benefits of school-based deworming​ are both immediate and enduring. Regular treatment can reduce school absenteeism by 25%. The exercise which ran from February 20 – March 8 was carried out across Nigerian states including Osun, Kebbi, Akwa-Ibom, Lagos, Bayelsa and Kogi States. 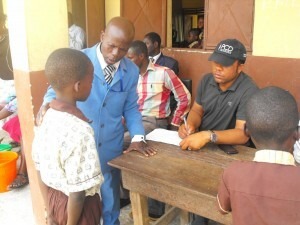 The exercise was led by the Nigerian Government with support from the Children Investment Fund Foundation​, SightSavers, PCD and other development organisations. To enhance mapping effectiveness, a training of trainers workshop focused on building capacity of state technical officers and partners was held in Lagos prior to the mapping, here attendees were taught to capture data from the field using new tools including the use of android smart phones. PCD have supported School Health and Nutrition activities in the state since 2011, assisting the government to implement its school feeding programme using local produce​ sourced from local smallholder farmers. The Department of Medicine will be running an image competition from 9am Monday 10th of March until 5pm Friday 23rd of May for all current Department of Medicine Staff and Students. A £20.00 Amazon voucher will be awarded to the top entry from each Division. If you are a DoM staff member or student and would like to enter please visit the competition website for more details on how to apply. Current submissions will be posted on the website throughout the competition, and the winners will be announced on the website at the completion of the competition. 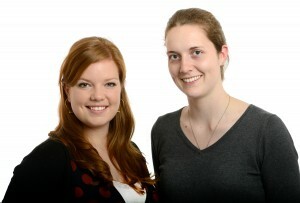 WHO Collaborating Centre (CC) has launched its new website: http://imperialwhocc.org/ which provides regular updates on the Centre’s activities. The WHO CC training course on Advanced Academic Skills is running for its sixth time. The coarse is designed to train participants in modern teaching methods, student assessments; both undergraduate and poste graduates and research methodologies. In addition the course focuses on Academic leadership styles, communication skills and curriculum development. 13 participants are currently attending the course from Iraq and Libya. The WHO CC’s Health system Development Course, as part of the Masters of Public Health (MPH), is planning a trip to Geneva in mid-June to visit the WHO Head Quarters and the UN. The aim of the trip is to introduce the students to both Global Health institutions and to expose them to the dynamics of work on an international scale. The WHO CC’s paper on ‘Tobacco Control efforts in countries of the Gulf Cooperation Council (GCC)’ has been accepted by the Eastern Mediterranean Health Journal, and will be published in the upcoming issue. The work reports the findings for the empirical analysis of a multidimensional investigation into the current state of tobacco use; governance and national commitment for control; and current intervention frameworks in place to reduce the use of tobacco among populations in GCC countries. It further reviews structured policy-oriented interventions that represent government actions: to strengthen, implement and manage tobacco control programmes and to address the growing epidemic of tobacco use. A delegation from Imperial College London’s School of Public Health comprised of Professor Elio Riboli-Director, School of Public Health, Professor Azeem Majeed-Head of Primary Care and Public Health Department, Professor Salman Rawaf-Director World Health Organization Centre, and Dr Josip Car-Director of Global eHealth Unit are leaving on an official visit to the Kingdom of Saudi Arabia on the 14th of March. The one week visit will be with their counter parts in King Saud University in Riyadh, and aims to build collaborations and links between both institutions; particularly in research generation and capacity building. WHO CC is working in project partnership with UNICEF. The aim is to deliver on Advanced Leadership and Management Course in Nairobi for various Somali Government representatives. The course will cover many topics that enable health mangers and decision-makers, in today’s challenging health systems and services, to obtain the skills and adopt the right tools to inspire and influence those around them. A special commendation should go to Harriet Davidson and Frances Dixon, two final year students whose abstract was selected amongst a competitive field of primary care academics, to present at this year’s SAPC meeting held at Madingley Hall in Cambridge. They expertly and confidently presented the findings of an audit they conducted as part of their General Practice Student Assistantship coursework, and their responses to tricky questions from the audience was particularly impressive! The audit analysed the use of chaperones for intimate examinations in primary care, an important topic for which GMC guidance was published in April 2013. As part of the audit they not only conducted a retrospective analysis of GP consultations, but also carried out a prospective survey of 91 patients to find out their views on being offered chaperones. They found that over two thirds of patients felt that chaperones should be offered but that less than a third would actually ask for one, concluding that patients want chaperones more than doctors think they do, and that we should be trying to overcome possible obstacles and offering chaperones as much as possible. Following on from their success at Madingley, they also recently recorded a video of their presentation which will be shown at the Annual Teachers Conference for Primary Care Teachers held in June at Imperial College. They deserve a special mention for this work given that they are currently in the midst of their finals, and we wish them both every future success! 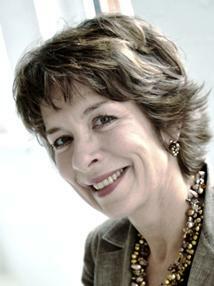 The Department of Surgery & Cancer congratulates Professor Lesley Regan, on her election as Vice President for Strategic Development of the Royal College of Obstetricians and Gynaecologists. The RCOG encourages the study and advancement of the science and practice of obstetrics and gynaecology, through postgraduate medical education, training development and the publication of clinical guidelines and reports on aspects of this specialty and service provision. Professor Regan is Director of the Recurrent Miscarriage Service at St Mary’s, comprising of a multidisciplinary team that she has developed to provide comprehensive investigations and treatment for couples with a history of recurrent early and late miscarriages. Professor Regan is also President of the UK Association of Early Pregnancy Units, advisor to the NICE interventions committee, professional member of the Human Fertilisation and Embryology Authority and Research Licence Committee. 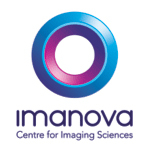 Imanova Limited, the Centre for Imaging Sciences in London, has announced that six researchers from Imperial College London, King’s College London and UCL are to receive IMPETus awards. 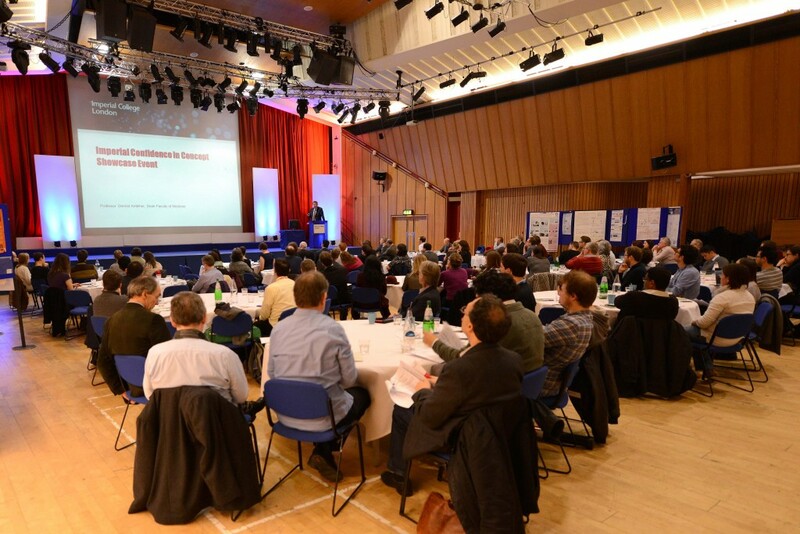 The awards are designed to both encourage the wider use of imaging and to enable researchers new to the area to gather the data required for its inclusion in full grant applications. Following the success of a pilot PET programme in 2012, IMPETus has now been officially launched and includes awards to scientists investigating not only dementia, depression and neurodegeneration, but also obesity and autism. The researchers selected include Dr Paul Edison of Imperial College London whose research project will investigate the influence of obesity on neuroinflammation in Alzhiemer’s disease. The Imperial researcher was awarded the grant as a result of the outstanding scientific merit of his work and for his innovative use of existing tracers in novel research areas. The research will be carried out at Imanova’s world class facilities in London. Professor Peter Barnes, of the National Heart and Lung Institute, been elected to the prestigious Association of American Physicians – an impressive rarity for someone outside the USA. The Association of American Physicians, a nonprofit professional organization for “the advancement of scientific and practical medicine”, was founded in 1885 by seven physicians, including Dr. William Osler.